Artificial Intelligence and its branches such as machine learning quickly gaining in popularity with both users and developers alike. While there is no single recipe to creating the next greatest app that everyone will use, but I can guarantee that one of the ingredients in the usage of thoughtfully incorporated AI. But creating your own AI solution can be very complex and tricky. The good news is, there are already some very powerful and easy-to-use solutions provided by companies such as Google, Amazon, and Microsoft. These comanies offer services and libraries with popular features such as Face Recognition, OCR (Optical Character Recognition), Classification Model, and so on. (References and links can be found at the end of this post). One solution that we had chance to use here at Avenue Code is the Google Mobile Vision API, which is part of the Google Play service in the Android platform. Some features of this library are not exclusive to Android. For instance, iOS developers can also use the Face Recognition API - check out the documentation! 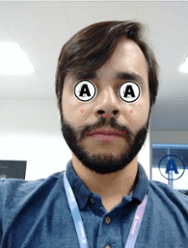 This post is dedicated to how we can use Face Recognition in our app with Google Mobile Vision API. Your Android Manifest file should enable the service. Place this below code in the Application tag. Up to this point, nothing magical is happening. We're only warming up the stage for the big player: FaceDetector. Beware when importing this dependency: there are two FaceDetectors, one from android.media which we are NOT interested in, and the one from android com.google.android.gms.vision.face package. This is our guy. First we need to setTrackingEnabled to false to get better performance and accuracy for single image processing. We enable this property for live video, for example. Sometimes it takes a little while to download this dependency. This is a tiny little glimpse into what you can do with the Google Mobile Vision API - there's plenty more to learn and play with! Hoping this was fun and enjoyable - questions? Feedback? Leave them in the comments! Heitor Souza is an Android Engineer with experience in Java, Ruby on Rails, and Salesforce platform. He's also a bassist in his spare time.